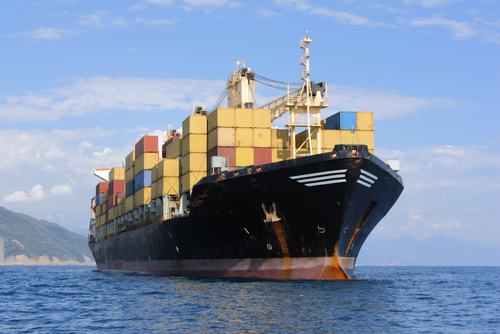 How the Trade War Will Impact the Shipping Industry - Specialty Freight Services Inc. Tension between the U.S. and China surrounding trade disputes has caused some uncertainty in the shipping industry. The U.S. continues to threaten sweeping tariffs on Chinese imports, which could end up ranging from $50 billion to $450 billion. A predictable effect of the trade war is reduced volume of cargo being shipped. For instance, according to recent data from Container Trades Statistics, volume on the Asia-Europe trade rose only 0.7 percent in the first five months of 2018 – a significant drop from the 4.4 percent and 2.9 percent growth in the same period of 2017 and 2016. Global shipping consultancy Drewry predicts that as much as 1.8 million teu, or nearly 1% of global container traffic, could be affected by the trade war. The rise in tariffs will also undoubtedly affect container shipping rates, which will increase in response. In anticipation of this decrease in volume, many carriers are reducing their capacity as a precaution. The three largest ocean freight groupings, THE Alliance, Ocean Alliance, and 2M, have already announced cuts on their transpacific routes. According to Alphaliner, these cuts represent 6.7% of total trade capacity, which amounts to about 21,300 teu per week. In order to reduce the harm caused by diminishing Chinese traffic, ports may need to come up with new incentives to attract cargo from other trades. These might include better infrastructure or lower vessel landing costs. Importers are directly affected by the new tariffs, and as such, they will need to adapt their strategies. For one, they will need to make sure they are staying up-to-date on the changes in duties. Furthermore, they may choose to change their product line as commodities such as steel and soybeans are hit the hardest by the new tariffs. They could also switch suppliers – for instance, choosing South American suppliers in favor of Chinese suppliers.